The Auburn Family Friday Speaker Series returns this Friday with Lt. Gen. Darsie Rogers, deputy director of the Defense Threat Reduction Agency, speaking on information and technology challenges the military faces today and in the future. “I intend to discuss how both the U.S. military and our adversaries have evolved over my 30-plus-year career, and the challenges that lie ahead,” he said, adding that following his presentation he will take questions from the public. Lt. Gen. Rogers was commissioned a second lieutenant from Auburn University in 1987. Following his initial assignment to the 24th Infantry Division, Fort Stewart, Georgia, he completed the Special Forces Qualification Course and was awarded the Green Beret. Lt. Gen. Rogers has commanded Army and Special Operations Forces at every level, from second lieutenant to his current rank. Notable assignments include the Joint Staff, the Joint Readiness Training Center, Fort Polk, and commander of the 10th Special Forces Group, Airborne. 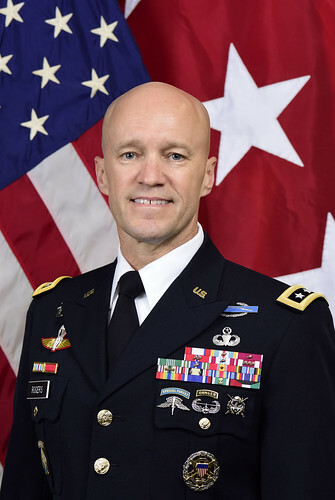 He also has participated in numerous contingency and combat operations including Operation Desert Shield/Desert Storm, Operation Provide Comfort, peacekeeping operations in Bosnia and five deployments in support of Operation Iraqi Freedom and Operation New Dawn, where he commanded U.S. Army, Air Force and Naval special operations forces.